A few weeks ago the BBC aired Drowning in Plastic, a shocking documentary that followed Liz Bonnin as she travelled the globe to understand the scale of our plastic problem. A week or so later, the Intergovernmental Panel on Climate Change released their latest report suggesting the goals set at the Paris climate agreement only three years ago are already unworkable. Everywhere we look, on the news, on TV, we hear of the additional ways humans are damaging the planet. Mass consumption of cheap materials, a throw-away-culture and a determination to use modes of travel that are totally unsustainable, mean that finding habitats undisturbed by anthropogenic actions are all but impossible. The documentary showed how easy it is to find single-use debris in the stomachs of shearwater chicks, choking rural Indonesian rivers and in the once pristine high Arctic. 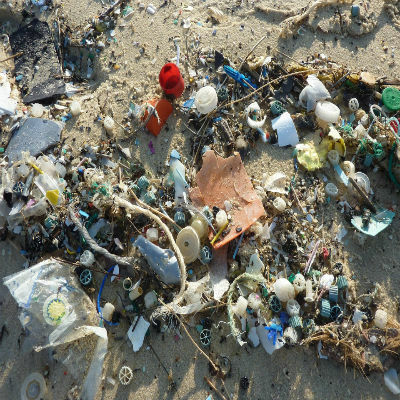 While it’s not difficult for us to see plastics littered on a daily basis, sometimes it can be difficult to comprehend the hidden changes to our biodiversity that run deeper than animals directly consuming plastic bags or being physically hindered by debris. It’s been over 40 years since the world started to ban the use of the chemical pollutants, PCBs, found in many plastics. At the time of their production, the catastrophic effects they have on killer whales at the top of the food chain were unknown. As is the way with long-life materials, PCB levels are still so high that even after so much time, it’s predicted half the world’s killer whales will be wiped out within the next 30 - 50 years (Aarhus University, 2018). For any species, let alone one as celebrated as the killer whale, this is unbelievably tragic for humanity and conservation science alike. Killer whales have enough to contend with; overfishing, tourism pressures and a warming climate that altering their habitat, to name a few. How many other side effects are we yet to discover from plastics, pollution or climate change before it’s too late? Drowning in Plastic featured scientists studying the diseases carried on plastics that had only just been discovered - the effects of which are completely unknown - another indication that yet-to-be identified damaging repercussions are a fully realistic scenario in years to come. Born Free campaigns for the release of orcas from captivity and through our partners, Orcalab, protects wild orca populations in their natural habitat of British Columbia. Our adoption whale, Springer, is a favourite among supporters and at 20 years old, is a firm member of the Born Free family. By caring for flagship species and individuals like Springer, we can, and do, protect the environment for her family, other killer whales and indirectly, the less famous and less researched species that share her waters. This is Compassionate Conservation and it’s crucial for the broader preservation of ecosystems and habitats, as we enter a future that endeavours to secure the delicate balance between people and wildlife.